Harold Albrecht is a proud lifelong resident of the riding of Kitchener-Conestoga. He attended Waterloo-Oxford District Secondary School and Waterloo Lutheran University (now Wilfrid Laurier University), before going on to the University of Toronto; attaining his Doctorate of Dental Surgery (DDS) in 1973. 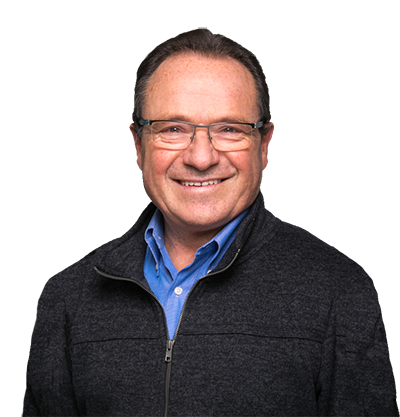 He returned to Waterloo Region, opening a dental practice and operating it successfully for 27 years. Before entering public service, Harold was an active member of the community, both locally and globally. He served as a Trustee for the Waterloo County Board of Education from 1978 to 1982, and as Chair in 1981-82. He was founding Pastor at Pathway Community Church in south Kitchener, and served there for six years. In remote parts of Honduras and the Dominican Republic, Harold lent his professional skills to numerous relief efforts organized by the Christian Medical-Dental Society. Far too often, these visits by nurses, surgeons, dentists and ophthalmologists would provide the only medical service a village could access for months. Other international service assignments brought him to diverse countries such as Venezuela, Colombia, Zambia, Nepal, and India. Harold was first elected to the House of Commons in 2006, narrowly defeating incumbent Lynn Myers. In the subsequent election of October 2008, Harold was re-elected with 49.2% of votes cast. In November of 2008, Prime Minister Stephen Harper named Harold Deputy Government Whip, and re-appointed him subsequent to the May 2nd 2011 election. In January 2013, Harold was elected Chair of the House of Commons’ Standing Committee on the Environment and Sustainable Development. The October 2015 election returned Harold to Ottawa as a member of Her Majesty’s Loyal Opposition, representing the newly-redistributed Kitchener-Conestoga riding. Harold has been active in a number of Caucuses devoted to facilitating better understanding of specific sectors and causes. These include the Auto Caucus, the Energy Caucus, the Rural Caucus, and the Pro-Life Caucus. Harold also co-founded the Parliamentary Committee on Palliative & Compassionate Care, founded the Bio Caucus, and is a co-founder of the Post-Secondary Education Caucus. He is Vice Chair of the Canada-Armenia Parliamentary Friendship Group, and currently co-chairs the Standing Joint Committee for the Scrutiny of Regulations (REGS). Harold is the father of 3 married children and 9 grandchildren. He lives in Kitchener with his wife Darlene.